So my puppy pulls when he walks. It’s a common problem that dog owners —and those parents who keep their kids on those bungee-leash set-ups— are quite familiar with. I suppose, if we were to take a Freudian look at it, it would have something to do them exploring the world and their boundaries at the same time. Which, honestly, isn’t that big of a deal when you consider you can just tuck them under your arm like a football, or grab them by the feet and hang them upside down à la the King of Pop until they tire themselves out. But what about when they’re older, larger, and in charge of your prized possession? No, we’re not talking about your The Who’s Tommy Pinball Wizard pinball machine—we’re talking about your Ford. Well, that’s where Ford MyKey comes in. Keep those rambunctious, exploratory teenagers in line without imposing the types of puritanical rules that leave you looking like “the villain”, all with a few quick adjustments to your Ford’s performance. Want to know more, both about MyKey and my “unorthodox” parenting style? Well, just read on. It’s that simple! But now that you know how to set it up, you want to know what you have control over (and what you have no control over). With the Admin Key, your MyKey system will allow you to control a number of settings, such as the vehicle’s speed limit. If your teenager plays too many racing video games, or just failed physics, you can set a limit that they cannot exceed. Cruise control and lead footed-accelerators are helpless against MyKey’s unwavering authority; but if they do dare to speed too close to the limit, visual and audible warnings will tell them to slow down. Well, I believe there’s just a warning ding. Maybe one day, Ford will let you program your own voice, and when they speed they’ll hear your sternest voice, using their full name (including their middle name), warning them if they actually hit the speed limit you’ve set they’ll undoubtedly be grounded until they’re married. It isn’t just speed though—protect your teen’s ears (from their own horrible taste in music) by setting a max of 45% total volume. Set features like AdvanceTrac traction control and 911 Emergency Assist to “always on” to ensure your vehicle, and to a lesser extent your teenager, always come home safe. According to Child Protective Services I’m no expert on parenting, but I can always count on Ford to help me when it comes to saving my teenage kids from themselves. There are several default settings that, unless you have incredible hacking skills (unplugging and re-plugging the modem doesn’t count), you won’t be able to control after MyKey is activated. But this isn’t necessarily a bad thing. The seat belt reminder will be turned on, which seems pretty standard with cars since the 2000s, and the audio system will be muted when the front passenger’s seat belts aren’t fastened. You’ll also get low fuel (or low charge, you planet saving hero you) alerts earlier than before—giving you plenty of time to safely pull over and GPS the nearest gas station (unless of course you’ve got voice-activated SYNC, and know how to use it). Other safety features, like those that come in Ford’s Co-Pilot360™ safety suite will automatically be on, as well as restrictions on adult content if you’ve got satellite radio. These can be adjusted, but let’s face it: Howard Stern hasn’t had anything meaningful to say since the early 2000s. Did you know, that a 2015 survey by AAA found that distracted teenagers were the primary cause of 58% of all accidents involving teens? It isn’t hard to imagine, what with all the Twitter accounts, raging hormones and whatnot. Ford’s MyKey is simple to set up, easy to use, and makes driving substantially safer for the less practised and less hormonally-imbalanced drivers out there (read, teenagers). So if you have teenagers driving your precious Ford, I’d suggest setting up your MyKey today.  If you have any further questions about MyKey, or want to know if your vehicle is equipped with MyKey, give us a shout at Team Ford.